I know I’m not the only writer kind of obsessed with point of view, so I thought I’d talk about one aspect of POV — which character should narrate a particular scene. Often this is an easy decision, but if you’re having trouble making the scene as dramatic or deep as you want, consider who would be the most effective point-of-view character. Now there is no RIGHT answer to which character point-of-view to choose for any scene. It will vary depending on many factors, including the author’s own natural POV approach and of course the events of the scene. Problem is, our immediate instinctive choice for which character should “tell” this scene often isn’t the best, all things considered. So it’s worth a bit of consideration before writing or revising the most intense scenes– whose viewpoint would provide the reader with the most interesting experience? Here are a few questions to help guide you in the choice. Each of these questions emphasizes a different approach to the scene. One might lead to a more action-oriented scene. Another might lead to an emotionally dramatic scene. 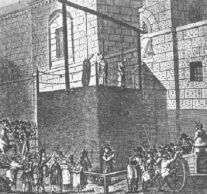 Let’s use as an example a hanging in some foreign land, a public execution of a man (call him Tom), with his wife there near the gallows (call her Sue). Very dramatic scene! 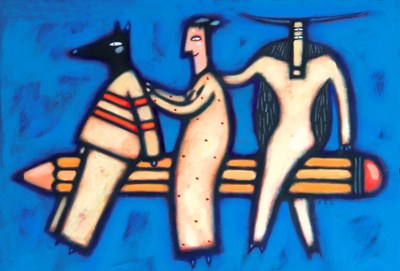 This great scenario was conceived by Susan Wiggs, whose stories always make use of thoughtful point-of-view choices to deepen the characterization. Whose head should we be in? Which character is there right now at the scene? It’s often better to go with the eyewitness rather than the one who just hears about it later– the TV cameraman at the execution, not the anchorman back at the studio. Which character has the most at stake externally? The one in physical danger maybe? That would probably be Tom, the condemned man, about to be hanged, of course. Which character has the most at stake internally? Sue, who is watching the hanging despairingly from the crowd, knowing that her baby (due in three weeks) will never know its daddy? Who has the most intriguing perspective, or will narrate the event in the most entertaining way? Who will change the most because of this event? Maybe the judge who condemned the man, as the hanging draws closer, comes to regret his vengeful decision, and decides that he’s got to save Tom. The judge might be a good POV character because we can participate in this great change. Who is going to have to make a big decision or take a great action during this scene? If Sue is going to storm the gallows, seize a sword, and cut Tom down, she might be the best POV character (then again, I’d love to be in Tom’s head as she comes charging up the steps and aiming that sword towards his neck… <G>). Whose goal drives the scene? Maybe Tom has decided to make a great emotional speech and rally the onlookers to riot and save him. He’s the one with the goal– good POV choice. Whose got a secret and do you want the reader to know? If Tom is actually an undercover superhero who can burn the noose rope with his x-ray eyes and fly away, but wants first to implicate the judge who condemned him, so he stands there patiently waiting for the hangman… it depends on whether I want the reader to know what he’s planning or his secret powers. Yes, I want the reader to know, so I put the scene in his POV, and concentrate on how hard he has to work to keep the secret secret. Or no, I don’t want the reader to know: I want the reader to gradually suspect, along with – or before– Sue and/or the judge, that there’s something a bit off about this guy and the way he keeps aiming his intense gaze up at the rope…. that might mean staying OUT of his POV. Who is telling all already through dialogue and action? If Sue is being completely open and upfront about what she’s thinking and how she’s feeling, why bother to go into her head? The judge or Tom might be a better candidate for our “mind-reading” then. You can see that this is not a checklist– any one of these is sufficient to make a choice, and some are obviously mutually exclusive. What effect do you want to have on the reader in this scene? And whose POV will best create that effect? 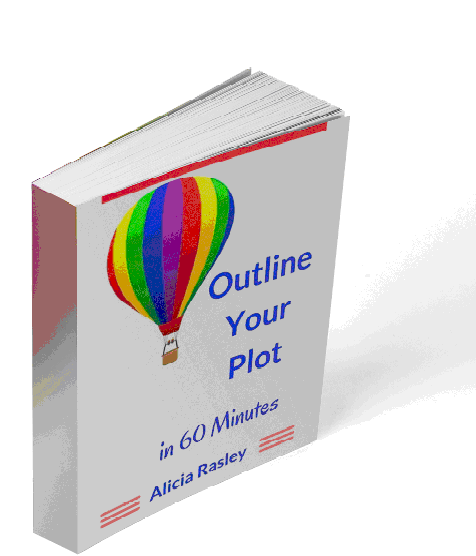 Bio: Alicia Rasley would rather write about writing than… well, write. Nonetheless, she has written many novels, including a best-selling family saga and a contemporary mystery novel. She also wrote a handbook on the fictional element of point of view: The Power of Point of View. She teaches writing at a state university and in workshops around the country and online. 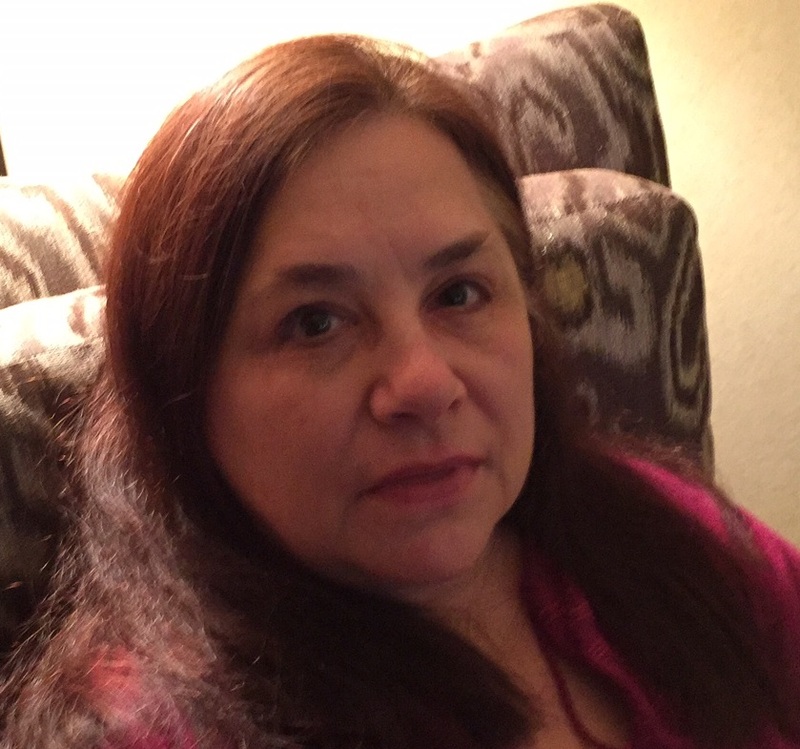 Her website has articles and posts about the craft of writing. 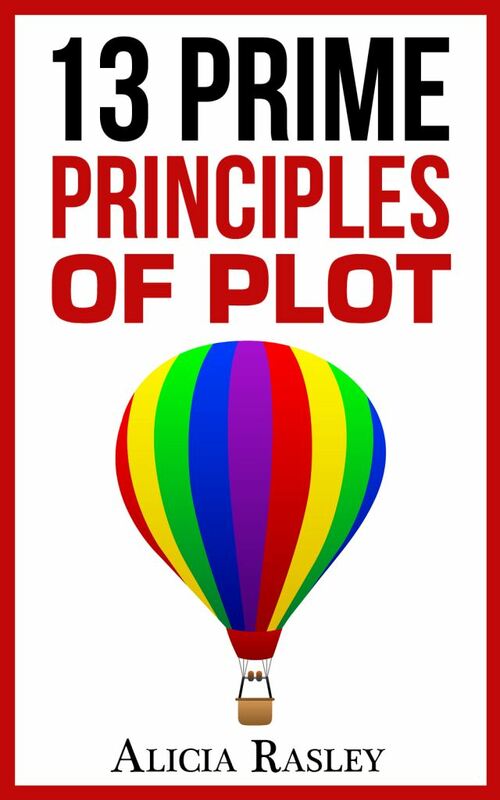 Sign up for a writing newsletter and get 13 Prime Principles of Plot and other free plotting articles!